Known for retro refrigerators, Smeg has branched out into small appliances. 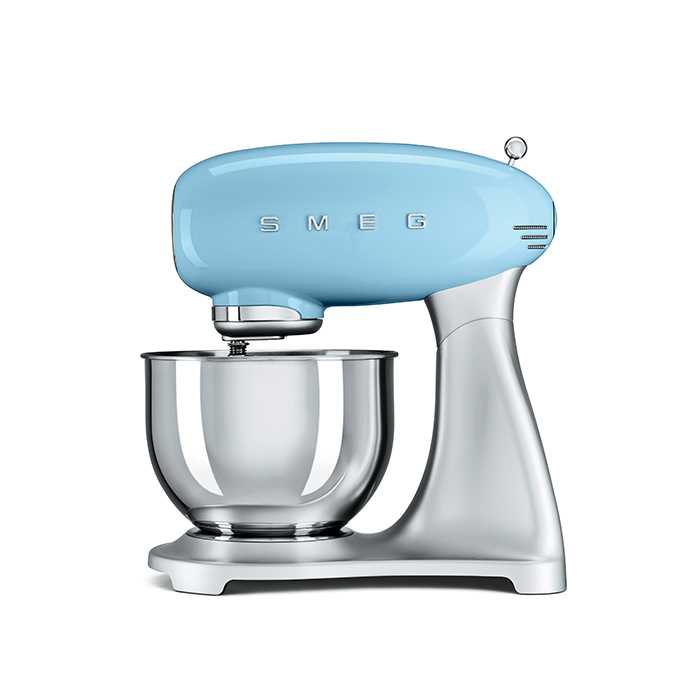 The stand mixer features an aluminum body, stainless-steel bowl, and ten speeds. Press a button to steam milk and brew coffee for barista-quality beverages. The built-in system automatically cleans itself after creating each drink. Steam cooking preserves nutrients and helps food retain moisture. The method is popular in Europe, and Bosch is betting American cooks will latch onto the trend. It’s all about fit and finish with Jenn-Air’s luxury refrigerator, which features a stainless-steel exterior and matte-black interior lit by LEDs. The minimalist PureLine offers built-in ovens, warming drawers, and coffee systems rendered in attractive black glass. Instead of limiting its heating capabilities to specific areas, the range operates as one large cooking zone to accommodate virtually any pot or pan.